Storage that's designed with a clear understanding of the way items are moved and used, can save time and speed-up processes significantly. We understand the issues a 3PL warehouse faces, and suggest the best layout to maximise your space. 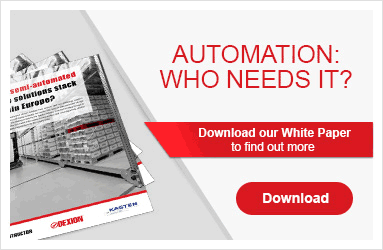 With our wide range of pallet-racking solutions, you can double your use of existing space – increasing storage by up to 83%. Want to see your designs in 3D before committing to them? Our bespoke 3D simulation software analyses and simulates the performance of your warehouse operation. Pallet racking can maximise the height, width and depth of your storage areas, and is ideal for storing heavy or bulky items requiring a fork lift truck for picking. MOVO, the mobile pallet racking solution provides dense pallet storage. It helps to reduce costs for a new building and better-utilises existing warehouse storage space.